If you are searching Methods for Measuring Success for Snapchat then this is the right place for you to be. Facebook, Twitter and Instagram just make it easy for you. With one click you can pull up a list of data insights about how your differing posts are doing. You can instantly see where you are getting more or less engagement and therefore have a frank discussion about why certain posts aren’t working as well and how you can improve them. Easy. But, although Snapchat should be part of your marketing efforts, it doesn’t seem to allow for the same sort of analysis. But, although Snapchat should be part of your marketing efforts, it doesn’t seem to allow for the same sort of analysis. However, don’t despair and don’t throw in the towel with regards to Snapchat. There are a few ways that you can use for Measuring Success on Snapchat, you just need to know how. You may also like: Building your Snapchat audience. The first and foremost way to get started is by checking your total unique views. These should be taken down every 24 hours to get a proper understanding of what’s going on. 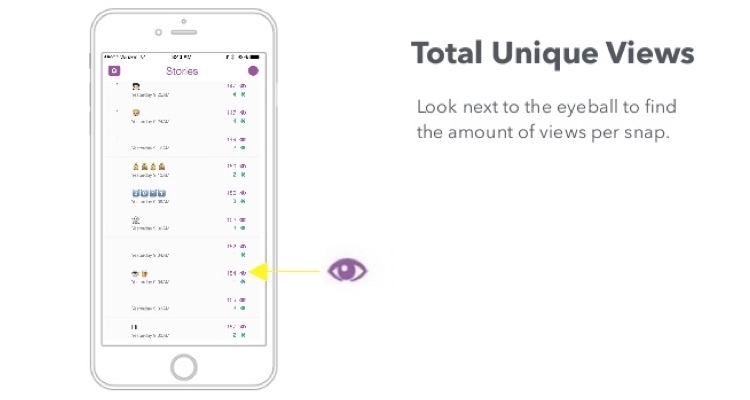 Your total unique views are easily obtained by simply looking at how many people have viewed the first snap in your story every 24 hours. It will show all of the people who have opened your snap for one second or longer and should give you a clear indication of the number of people in your following that you are reaching every day. The key is to stay consistent with your snaps every day in order to get a better overall picture. Once you have that information you will need to collate data on how many people actually complete your story in its entirety. This means cross-checking the number of people who viewed your first and last Snapchat in your story. This information is more telling than simply seeing who is watching the first Snapchat, because of the roll-on way that the stories feature works. If you are getting consistently high views for your full story, then it is likely that your content is truly engaging. The third really important measure for Snapchat is the number of screenshots or replies you receive. There are no ‘likes’ in Snapchat, so screenshots are the only way to tell if someone enjoyed your content enough to actively engage with it beyond simply opening it to view. Similarly, any replies that you receive should be tracked and recorded as they will say a lot about where your content is provocative or meaningful to others. If you want to incorporate direct snaps into your marketing campaign, then you will be able to work out your open rate. This would be discerned by keeping track of the amount of snaps that are opened and divide that number by the amount of snaps sent to get a percentage. Being aware of your open rate will be useful over time as a way to see how personal tactics work against stories and whether you are reaching higher levels of engagement by employing both tactics. As you begin to grow your following you should start to ask your followers about what made them add you and how they went about it. They may have added you by Snapcode, follow-back or by typing your username in. If they took the time and effort to remember your username and type it in, then this says something significant about the way that your name is reaching people. If the majority are from Snapcodes promoted through your other social accounts, then at least something in your marketing strategy is working. Using a service like Bitly to create short, trackable links to add to the end of your story will make it easier to tell what percentage of your website visitors are coming to you from Snapchat. Make sure to make this link memorable and easy to read in your snap, as your followers will need to leave Snapchat in order to type it in. Make sure to make this link memorable and easy to read in your snap, as your followers will need to leave Snapchat in order to type it in. There are more Methods you can use for Measuring Success on Snapchat. Just scroll down and you will have more. Once you have these key methods in place for gathering data you should aim to gather as much as possible. Keep going with your Snapchat insights over an extended period of time and stick with it, even if nothing seems to be changing. The only way that you will eventually be able to use any of it is once you have enough data to be able to see a pattern. 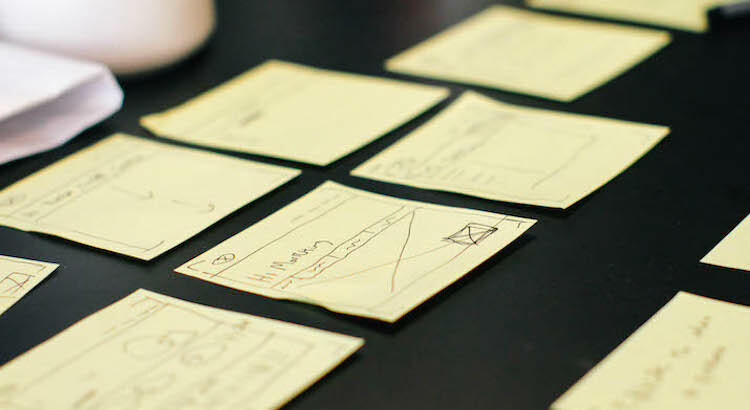 It might take some time to start seeing anything actionable, but once you do there are a few ways that you can begin to work with your analytics to see greater success. The first is through setting yourself goals to reach. Choose a number of views you want to achieve and aim for it. Decide what you want your open rate to be and try a few things to get there. The key is variety – tailoring your content every day to see what gets the best response and then building on that. The key is variety – tailoring your content every day to see what gets the best response and then building on that. Once you begin to be able to see which content is performing better than others you should promote that content across other social networks. You May Also Like: Snapchat Spectacles. Utilizing a variety of social media platforms in order to boost your Snapchat following is essential, so this is a great way of re-using visuals that you already know will drive up engagement. Checking to see how this content does on other social platforms is another way to get more data on it, particularly as other networks have more direct ways of revealing insights. Bear in mind, however, that this statistical information will be less accurate when gleaned from another platform, as some content will work particularly well just on Snapchat. Finally, look into inventive ways to get a greater following. Snapchat takeovers, product promotions or simply campaigns through other social networks will all go towards increasing your reach. Use your data insights and analytics to drive forwards with Snapchat and ensure success further down the line. So, all of the above are some great tips perfectly accumulated for you so that you have enough knowledge about Measuring Success for Snapchat.